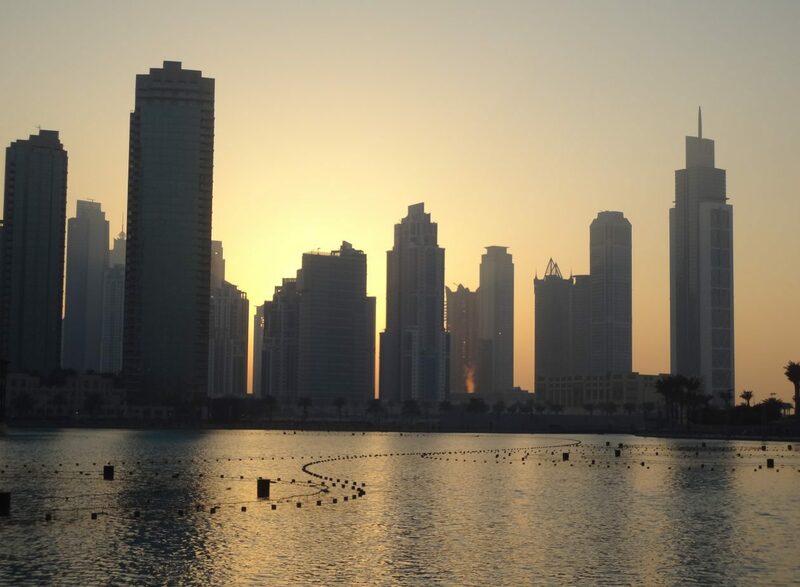 Dubai Water and Electricity | Emirates Property-what's your property cravings? Dubai, UAE, 2 October, 2017: HE Saeed Mohammed Al Tayer, MD & CEO of DEWA, Founder and Chairman of the Water, Energy, Technology and Environment Exhibition (WETEX), announced the launch of the 19th WETEX, organised in adherence with the directives of HH Sheikh Mohammed bin Rashid Al Maktoum, Vice President and Prime Minister of the UAE and Ruler of Dubai, under the patronage of HH Sheikh Hamdan bin Rashid Al Maktoum, Deputy Ruler of Dubai, Minister of Finance, and President of DEWA. The press conference was held at the Address Hotel, Dubai Mall, in the presence of DEWA’s senior executives, representatives from partners, exhibitors, sponsors, and the media. The press conference was also attended by HE Saif Al Falasi, CEO of Emirates National Oil Company (ENOC), Dr Yousef Al Akraf, Chairperson of the Sales, Logistics and Sponsorships Committee at WETEX, Khawla Al Mehairi, Chairperson of the Marketing, Public Relations, Media and Events Committee at WETEX, Jasim Rajab, financial comptroller and member of the Higher Organising Committee of WETEX, and Marwan bin Haider, member of the Higher Organising Committee of WETEX. “In adherence to the directives of His Highness Sheikh Mohammed bin Rashid Al Maktoum, Vice President and Prime Minister of the UAE and Ruler of Dubai, under the patronage of HH Sheikh Hamdan bin Rashid Al Maktoum, Deputy Ruler of Dubai, Minister of Finance and President of DEWA, WETEX 2017 will take place from 23 to 25 October 2017 at the Dubai International Convention and Exhibition Centre. Covering a surface area of over 70,000 square metres, the event will play host to 2,000 exhibitors from 50 different countries. This year, WETEX’s theme is ‘At the Forefront of Sustainability,’ and is part of Green Week. It will also coincide with the 2nd Dubai Solar Show and the 4th World Green Economy Summit. At least 60 speakers from all over the world will focus on key topics, such as Smart Cities, Green Economy, Innovation, and Sustainable Development at this year’s World Green Economy Summit,” Al Tayer said. “Over the last 18 years, WETEX has established itself as one of the largest and most important international exhibitions in water, environment and energy, and has strengthened Dubai’s position as an international role model for sustainability. WETEX supports the vision of His Highness Sheikh Mohammed bin Rashid Al Maktoum, who made investing in clean energy one of Dubai’s biggest strategic priorities. WETEX 2017 has become an important strategic platform that facilitates effective and fruitful cooperation between decision-makers, investors, researchers, academics and experts, to explore modern solutions and technologies that promote sustainability, energy security and a wealth of opportunities for current and future generations,” added Al Tayer. Al Tayer noted that WETEX has become a highly-anticipated annual event that gains the attention of many institutions, organisations, government bodies and companies that specialise, regionally and internationally, in energy, water and environment. WETEX facilitates the exchange of effective solutions and green products, in addition to a range of investment opportunities in these sectors. This event is a springboard for promoting emerging technologies, innovation and products in clean and renewable energy, water, environment, oil and gas. It provides investors with the opportunity to develop commercial relations, and meet representatives from different corporations all over the world, all under one roof. Dubai’s hosting WETEX 2017 supports its efforts to achieve the national Green Economy for Sustainable Development initiative, which was launched by HH Sheikh Mohammed bin Rashid Al Maktoum to transform the country into a global hub for exporting and re-exporting green products and technologies. WETEX also supports the Dubai Clean Energy Strategy 2050 to transform Dubai into a global hub for clean energy and green economy, by providing 7% of Dubai’s total power output from clean energy by 2020. This target will increase to 25% by 2030, and 75% by 2050. Al Tayer said that the organisation of the 2nd Dubai Solar Show, the biggest exhibition in the region focused on solar technologies, which coincides with WETEX, will take place over an area of 14,000 square metres, following the success of the first one in 2016. This reflects the wise leadership’s unceasing efforts to increase the UAE’s level of dependence on clean energy, while transforming into a green economy, and adopting the concepts of environmental, social and economic sustainability. Al Tayer added that the Dubai Solar Show has become the ideal platform for organisations, universities, manufacturers, suppliers, distributors, specialists in solar storage and system installations, solar power station developers under the Independent Power Producer (IPP) model, Research and Development (R&D) organisations, and engineering consultancy companies. The Dubai Solar Show provides a deeper insight into the latest innovative solutions and modern trends in the solar industry. Experts have forecast that the solar market to expand tenfold by 2030, to become the main source of energy powering the world. Solar power is also expected to generate revenues estimated at USD 5 trillion within the next 15 years. A sizable leap is also expected to occur in photovoltaic solar power technologies, due to the 75% reduction in costs over the last 10 years. These factors have led to increased demand for solar power in many places around the world. Al Tayer thanked all the partners, valued strategic, platinum, gold and media sponsors for their support for this important economic and environmental event, and thanked them for their support over the last few years, which has contributed to the transformation of WETEX into the biggest exhibition of its kind in the region. He also expressed his appreciation for the role of the media to promote WETEX as a leading platform to facilitate international leaders, decision-makers and investors in water, energy and environment. “We reiterate our promise to continue supplying exhibitors, visitors and investors with the highest quality facilities, as well as an interactive platform to promote a culture of sustainability, energy technology, and international efforts to achieve a green economy. We are looking forward to welcoming WETEX 2017 as a new milestone for success and excellence,” concluded Al Tayer.